Micky & Stevie's range of soft toys is cute and funky - lots of cheeky characters who love to be cuddled and also look fantastic sitting on a child's bed or bookshelf. 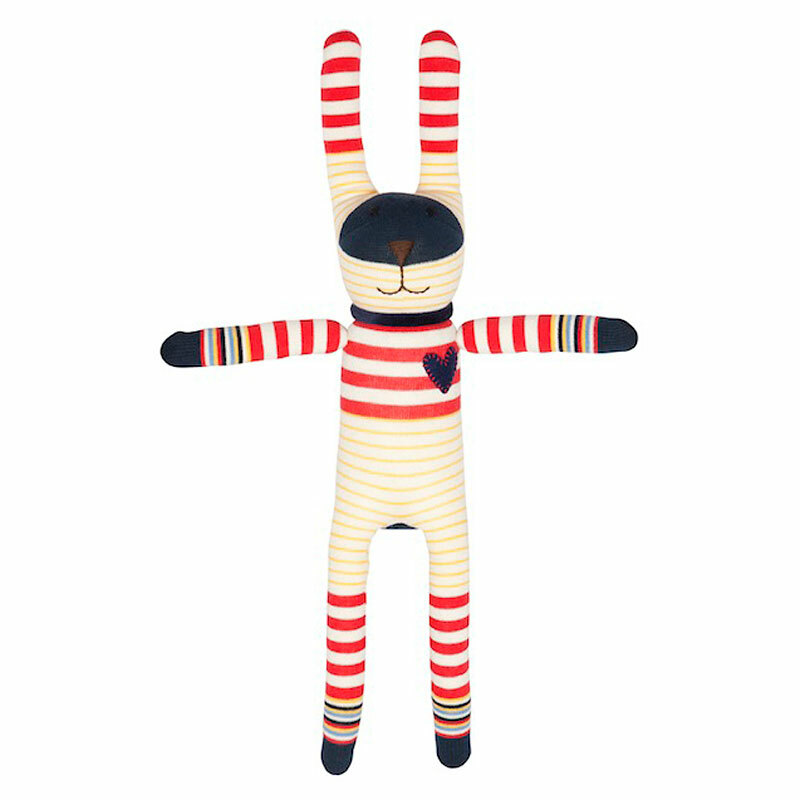 This big "blue" bunny rabbit with its long ears and colourful red and yellow stripes is perfect for a boy or girl. We love his navy face and cheery smile.